Hi Rebekah! Please tell the world a little bit about yourself. Hello everyone! I’m from Taiyuan, Shanxi, China. If I were to pick an animal to represent my personality, it would be a kitten. If I were to pick an object to represent my personality, it would be a rose. Nice choices! Have you been enjoying the LTS program so far? Yes! I’ve wanted to be a teacher since I was little. How I narrowed down that I want to teach language(s) is because language acquisition is a part of my daily life. I’m not a native English speaker, and I learn and practice English every day. Language acquisition is a fun and surprising process. It really is! What are you hoping to learn/gain from the program? I want to learn how to teach. Being a teacher seems easy…I mean, everyone has been to schools and knows how a teacher’s’ job looks like, but it’s a lot more than that. A big part of teacher’s job is not seen by students. Classroom management is also very challenging too…When I was in school, I was a naughty kid and I really liked those class clowns. Haha. And I know you are involved with the Chinese Club at Edison Elementary School–how has that experience been going? It’s been challenging but is helping me learn a lot! Proficiency levels are very different. 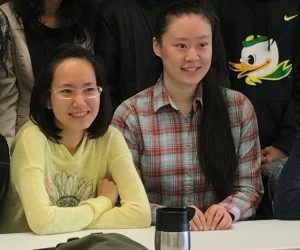 Some students are just beginning to learn Chinese, and some students just came to the states recently from China and have been studying in Chinese schools for several years. We only meet once a week, and it’s on Friday afternoon. This term, students’ motivation can be low, so I need to think of creative ways to inspire them- thankfully I am learning ways to do this in the LTS program. You do the Chinese Language Circle too right? Yes. Currently all participants can’t converse yet. 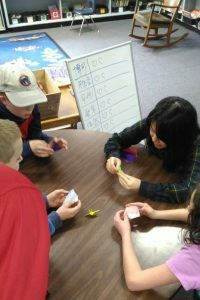 We covered numbers, basic greetings, seasons, and a portion of pinyin. Please join us on Mondays at Mills International Center from 4 to 5 to learn some basic Chinese. Everyone is welcome to join. No background needed. Eugene is a nice place to live. There is usually no traffic jams which is so nice as opposed to big cities. It’s small enough that I can get anywhere in 20 minutes, but it’s also big enough that it has almost everything, so it is a great size. 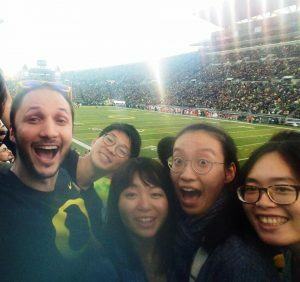 I’m going on my sixth year here living in Eugene, and am still enjoying it. Thank you for taking the time for this interview! I’ll have to come practice my Chinese sometime! 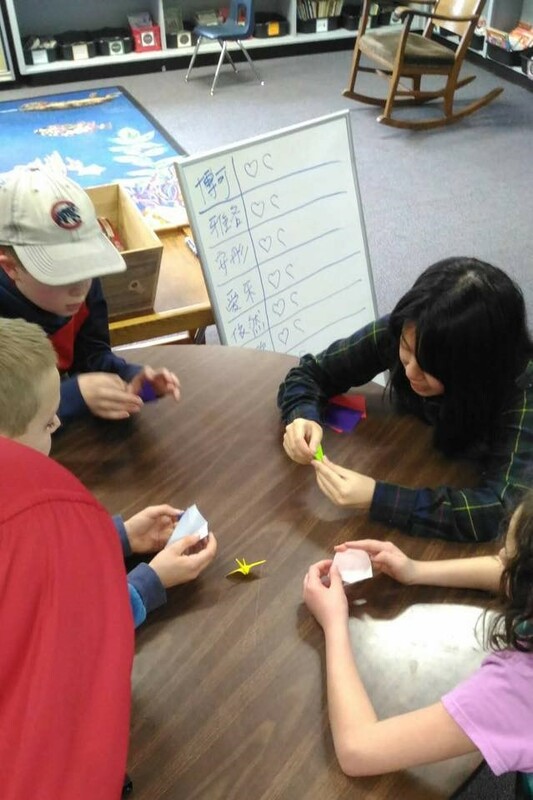 This week, we are pleased to feature UO faculty member Lara Ravitch, who works with the LTS program in a number of ways: guest lecturer in LT courses, MA project committee member, and advisor to the teachers of the Chinese Club at Edison Elementary School. 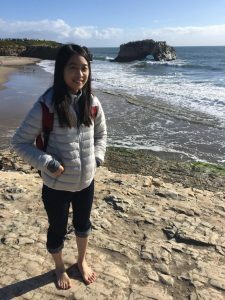 Read on to find out more about these and many other interesting projects she works on here at UO and beyond. 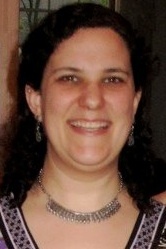 American English Institute faculty member Lara Ravitch wears a number of hats at UO, including several in the LTS program. What is your position at the University of Oregon? The AEI has several different programs with a wide variety of courses, and it’s expected that any given faculty member will be able to teach most of them with minimal lead time, so I teach lots of different things! I’ve taught upper-level reading and writing, lower-level speaking and listening, and student success in the IEP. I’ve also taught an eLearning course for educators around the world looking to improve their skills as teachers of young learners, and I’m currently teaching AEIS 112 and 101. What was your path to the University of Oregon? 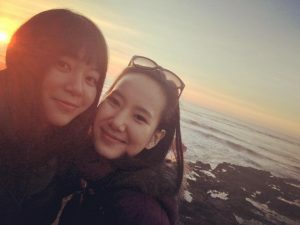 I majored in Russian, so after graduation from college, I wanted to spend some time there, and the easiest way was to get a job teaching English. 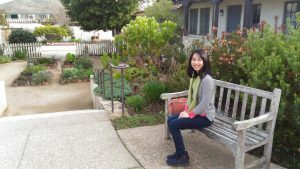 After two years teaching in a variety of contexts in Moscow, I realized I enjoyed this work but I needed more training, so I returned to the US to get my MA in language teaching at the Monterey (now Middlebury) Institute of International Studies. During my MA, I focused on teaching both English and Russian, as well as concentrating in Language Program Administration. 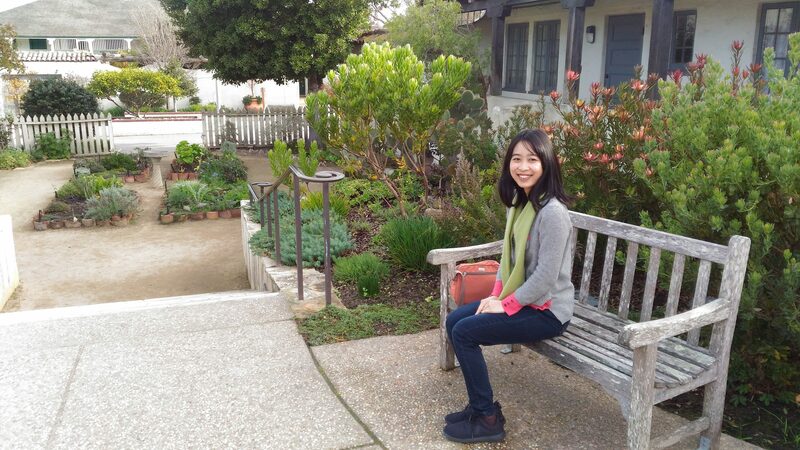 After graduation, I adjuncted for a year in Monterey before moving back home to Chicago, where I taught ESL and English Composition at Harry S. Truman College, one of the City Colleges of Chicago. It was an incredible experience that gave me opportunities to work on committees re-developing teacher education for the State of Illinois, improving language assessment protocols across the city, and supervising about 50 adjunct faculty in my department. The students were incredibly diverse, coming from Nigeria, the Philippines, Ukraine, India, Ecuador, Sudan, Bulgaria, Mexico, Vietnam and many other countries. I learned a ton from my amazingly dedicated colleagues and students, but after almost 10 years in the city, we decided we needed a change of scenery and looked for opportunities out west. I was excited to come to the AEI at University of Oregon because of the high level of professionalism. After working in a department where part-timers outnumbered full-time, tenured faculty by more than 2:1, and where the teaching was so intensive that few availed themselves of the limited funding for professional development, I was excited to come to an institution where all of my colleagues would be full time (and thus actively invested in developing programming and supporting students), and where professional development was both supported and expected. 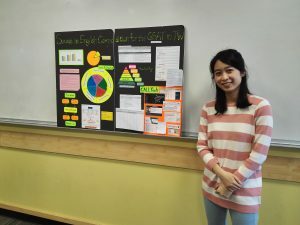 What is your connection to LTS students & what do you enjoy about working with graduate students? I have worked with LTS in several capacities. I’ve done quite a few guest lectures in various classes, teaching lessons on bilingualism, lesson planning, and outcomes-based curriculum design. I love helping to give LTS students a sense of how their learning applies in various teaching contexts. 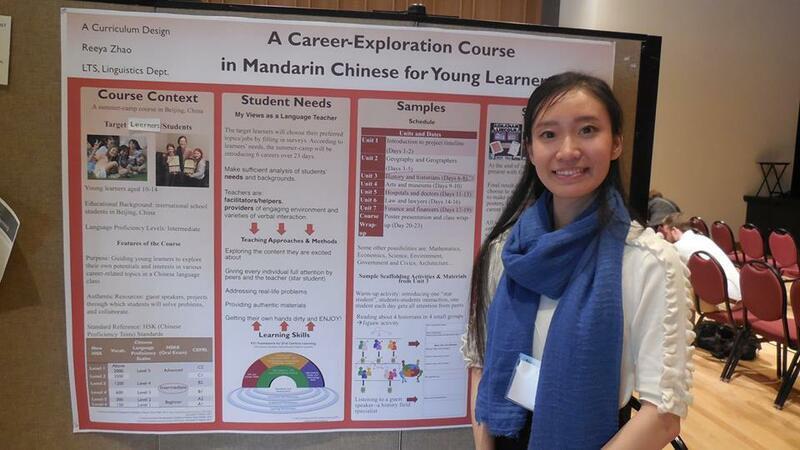 As IEP coordinator, I also worked with LTS students to match them to observations and opportunities for research. I loved reading research proposals and am always curious about the results of the studies! In addition, I’ve been a reader for two MA projects, both dealing with Russian teaching. I was extremely impressed with both products, which filled gaping holes in the field and would be of great use to practicing teachers. Last (but definitely not least!) 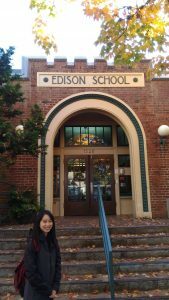 I advise the LTS students who teach the Chinese Club at Edison Elementary School. 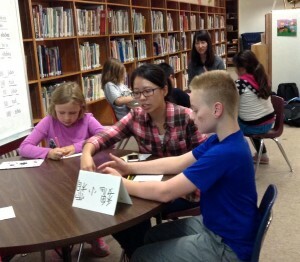 Three LTS students take turns being the teachers of about 10 young children who sign up to spend their Friday afternoons learning Chinese. I meet with the LTS student teachers once a week to discuss the previous lesson and plan the next one, and then whenever possible, I observe the classes and give feedback. It’s a delight to work with such creative and diligent student teachers and to watch the children participating actively and enjoying Chinese language and culture even at the end of a full week of school! I’m participating faculty in the Russian, East European & Eurasian Studies (REEES) program, and this winter, I’ll be teaching a Russian Theater class, which includes a big final performance in Global Scholars Hall! In the summers, I run a Russian language immersion program for 8-18-year-old campers in northern Minnesota. I’ve also just begun a second MA in Special Education here at UO! I do a lot of presenting and teacher training, generally on topics related to experiential learning, alternative assessment, LGBTQ issues in language teaching, and learning differences. What advice do you have for future language teachers? Our field is broad, our learners are diverse, and there is always opportunity to try something new. Don’t worry about mastering it all now – instead, adopt a reflective, lifelong-learning approach and focus on continuous improvement! 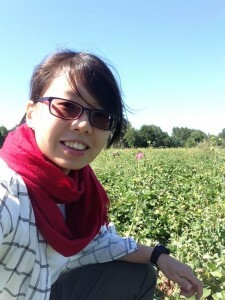 Sara Li (Chinese name Hsin-Jung, Li) is an LTS graduate student from Taiwan. 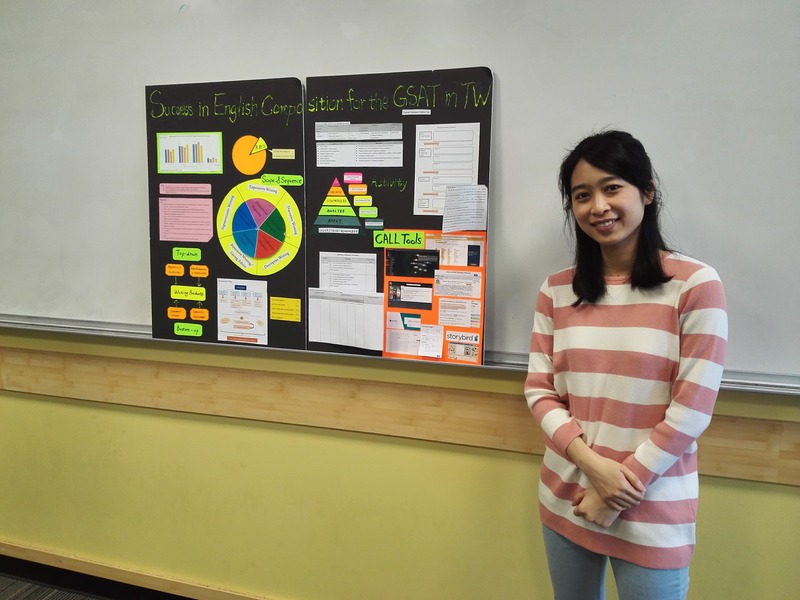 She has 3 years of high school EFL teaching experiences and 5 years of educational administrative experiences and loves language teaching and learning. 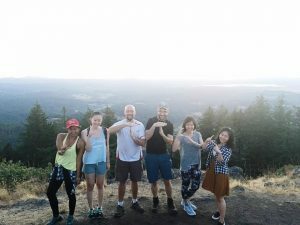 Why did you choose to come to the UO for the LTS program? 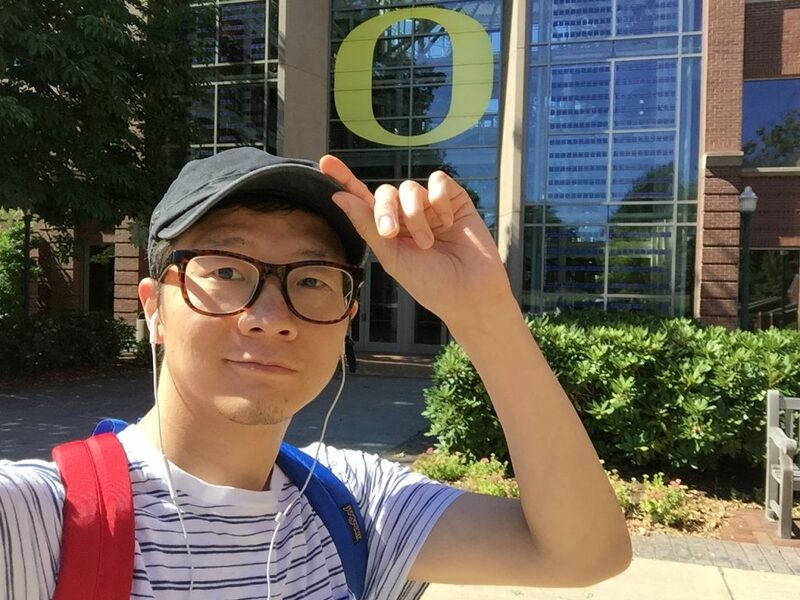 I chose to come to the UO for the LTS program because it provides rich language learning and teaching courses for future teachers of all kinds of languages. Apart from many other TESOL programs in the United States, the LTS program stands out because it is an intense program with integrative courses in linguistics and pedagogy. 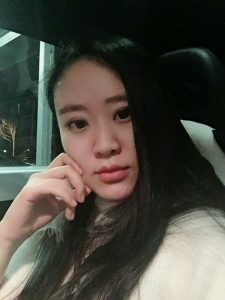 Tell me about your work with the Chinese club? 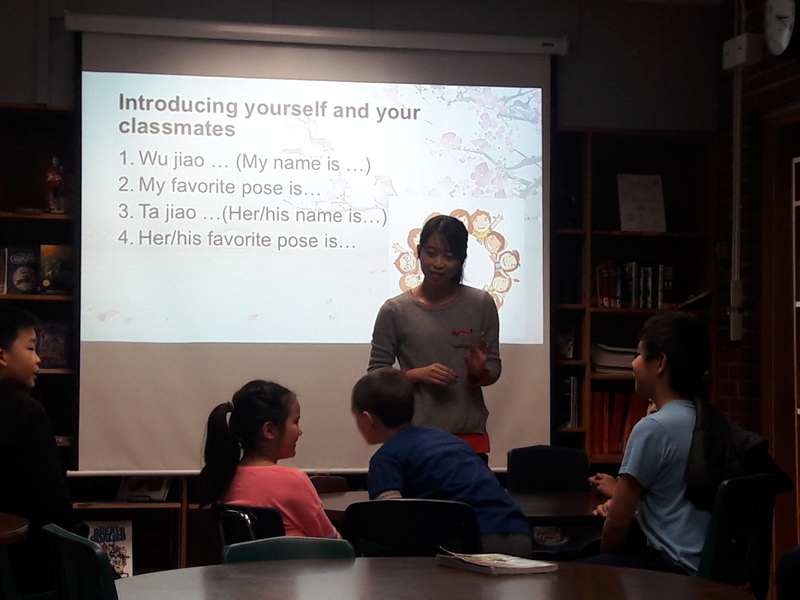 Thanks to Dr. Yerian’s suggestion, I joined the Chinese Language and Culture Club (CLCC) this term as one of the three Chinese teachers in the Chinese club. We design a Chinese course for 3-5 graders in Edison elementary school, who show interest in learning Chinese and some of whom have family members from Chinese speaking countries. The purpose of this Chinese club is for students to enjoy learning Chinese language and culture. 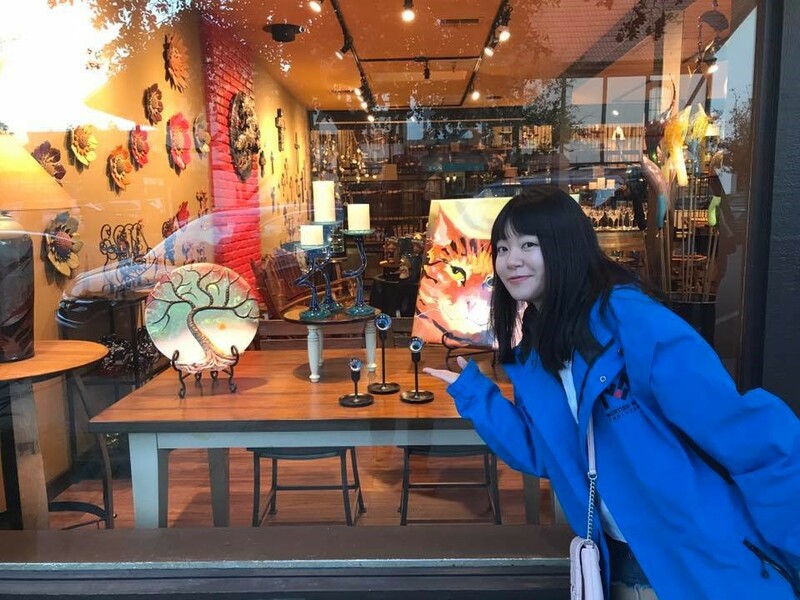 In the fall term the theme of the course is Daily Life in China, and the topics include basic Chinese greeting, Chinese etiquette, Chinese pictographic, body parts, famous sports in China, and many useful sentence structures. 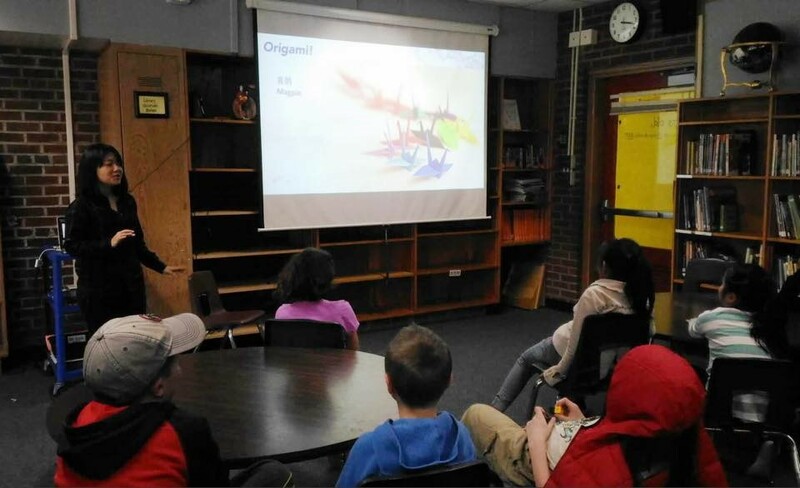 Every week we co-design and co-teach a 105 minute class, and we implement many interactive group activities to facilitate students’ comprehension and learning motivation. What has been most rewarding about working with the Chinese club? 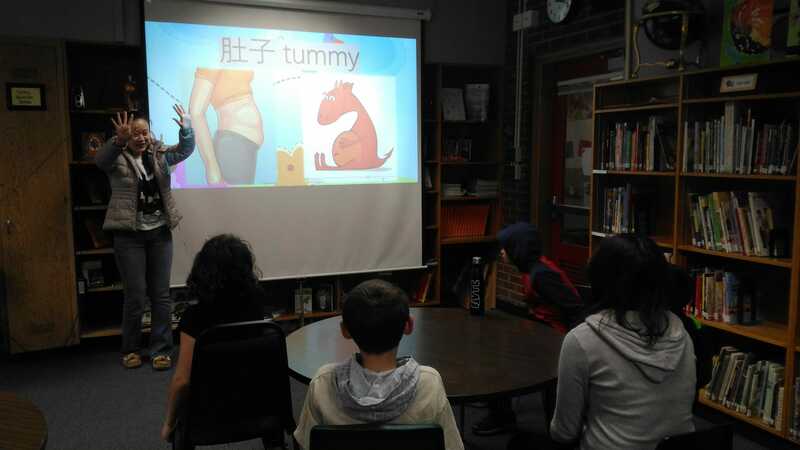 This is my first time teaching both Chinese and elementary school students, so it has been quite a special and inspiring experience. This teaching experience allows me to reexamine my understanding of Chinese language and culture, and I find students’ genuine feedback, enthusiasm and curiosity in Chinese language and culture really motivating and rewarding. I am often surprised at how much they already know about Chinese and how much more they would like to learn. It has been a blessing to be their teacher to guide and participate in their learning process. What is one thing that you’re looking forward to in your remaining time in LTS? 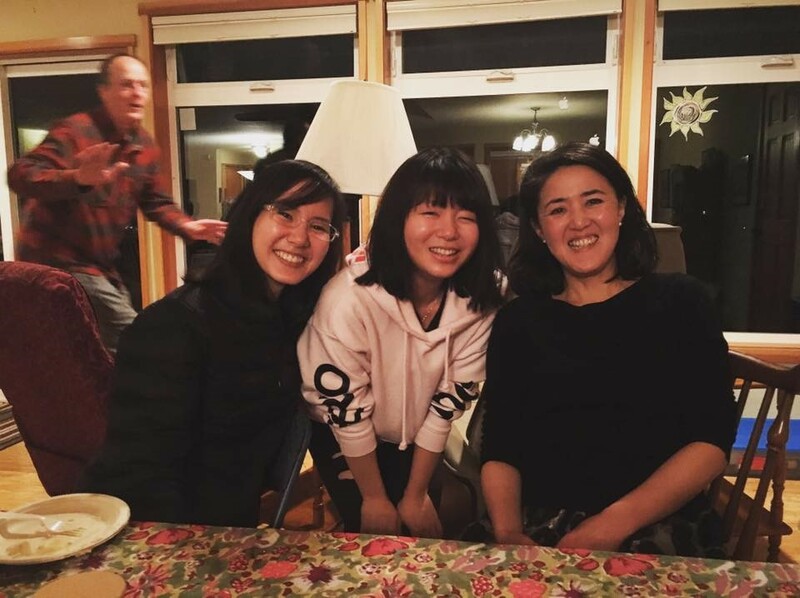 I would really love to spend more time with my LTS cohort, all of whom are supportive, innovative, and compassionate about language teaching. Looking back at the past 5 months, we have had so much fun in class where our ideas emerge and took off like rockets, as well as out of class where we share our beliefs, cuisine, and love for each other and language education. There are many things that I look forward to, such as intensive in-class discussion, group collaboration, useful seminars and lectures, doing the MA project, and many more times to hang out and form dreams. Coming to UO for the LTS program has been one of the wisest choices I have ever made.